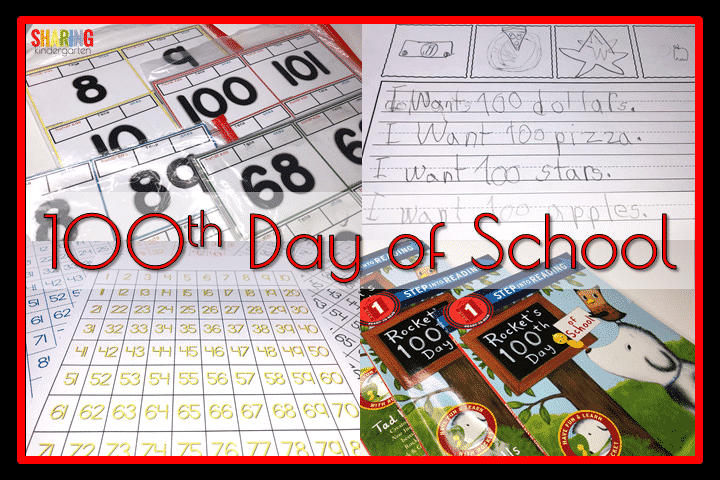 Today was our 100th day of school! 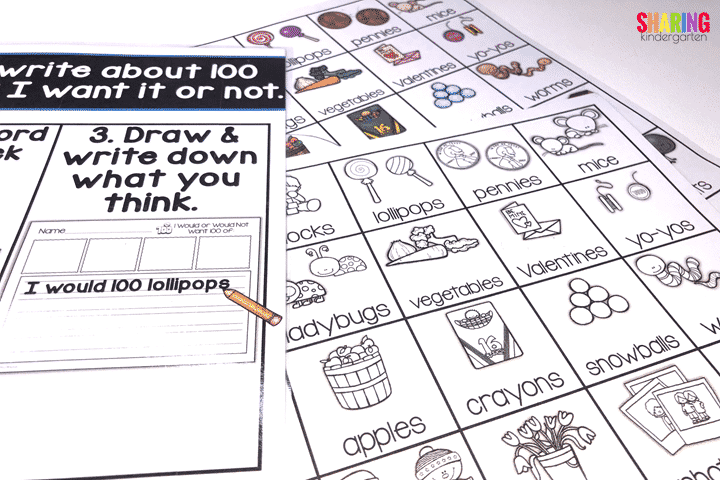 To celebrate the 100th day, we have a blast with the number 100 in as many ways as possible and across as many subjects as we can get. Check out some of our adventures today. 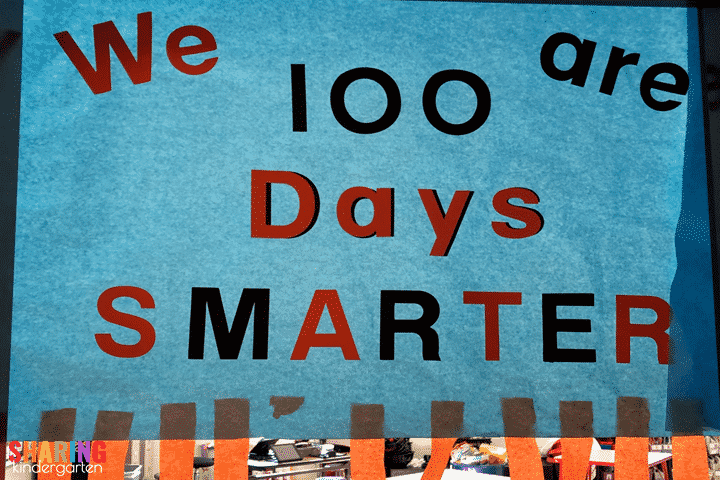 My little learners were greeted by this fun banner reminding them that they are indeed 100 days smarter. I took this picture at the end of the day and only ONE streamer was removed. 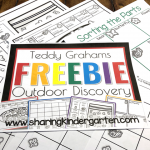 My little learners LOVES this so much… I think we can make this a class reward. 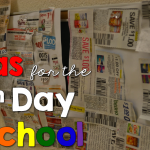 I usually find a printable book to use for the 100th day of school. 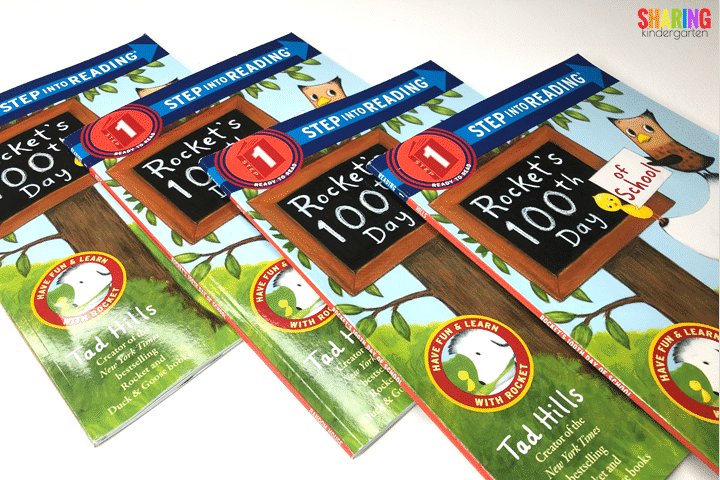 This year, I found the book Rocket’s 100th Day of School on Amazon and grabbed enough copies for a small group. My students this year are loving reading real books! So we used this reader. 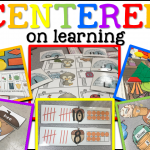 Best yet, I can use these books year after year! (You can find this book here.) 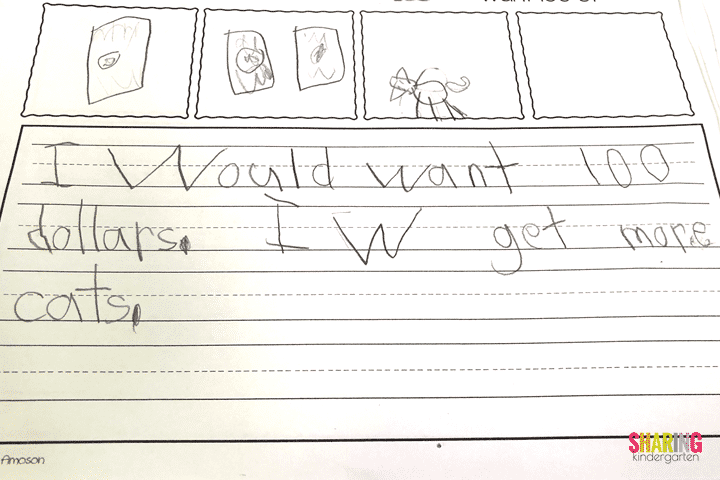 This reader was a little tough but all my students could find success with reading strategies. 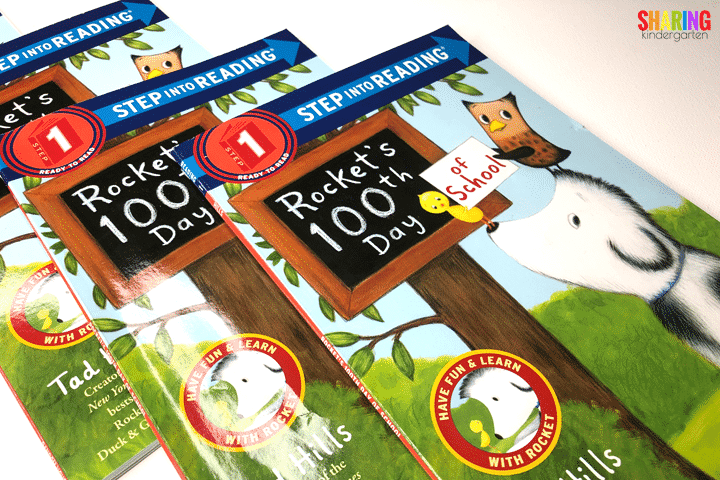 It is a challenge to find great 100 days reader that students can read! 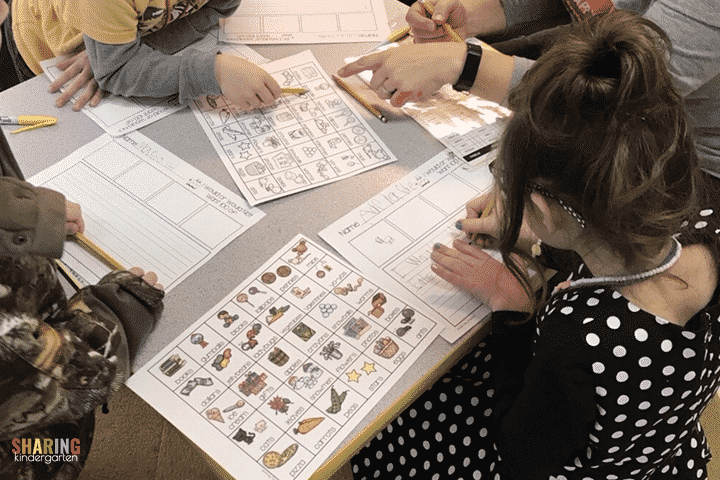 Here is our reading in action! 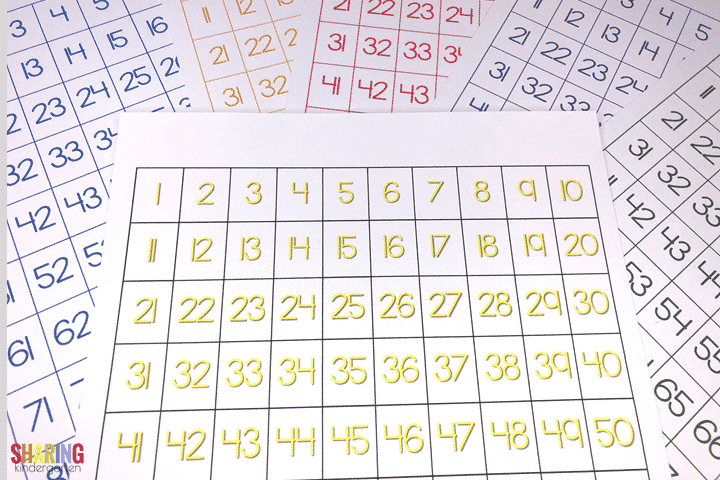 One of our other groups involved a 100s chart… but with a twist. 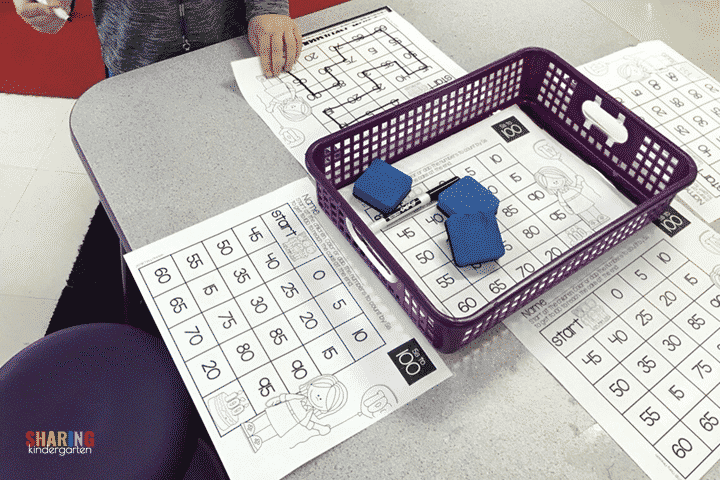 We have spend a long time working on our number sense so I knew a puzzle that worked our number sense would be a great exersize for the 100th day of school! 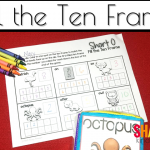 We started with 6 colorful 100s charts. I printed two copies of each puzzle. 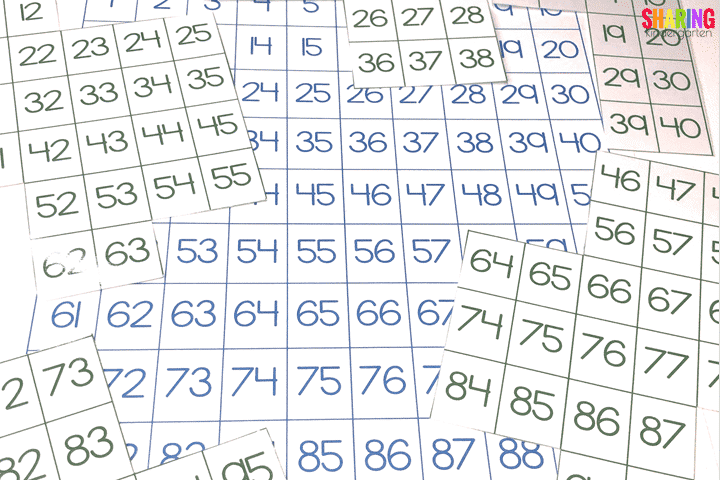 Next, I take one of the 100s charts and cut it into pieces. (You can see that above with the green puzzle pieces.) 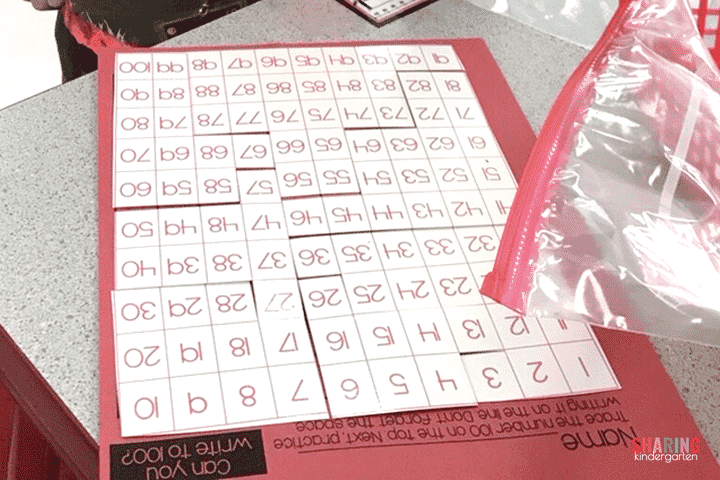 Student take the full mat (such as the blue mat above) that wasn’t cut as their base and build their 100s chart on top using the pieces. I used two different colors in the image so you could see the two separate elements in this game. 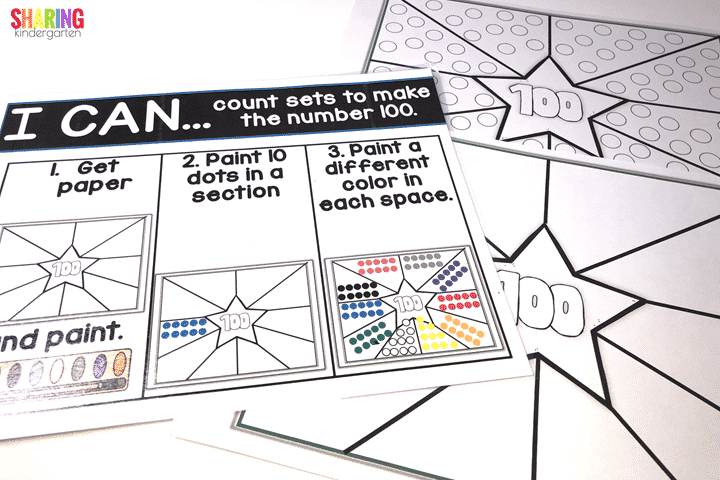 In the classroom, I would use the same color base and puzzle pieces per student. 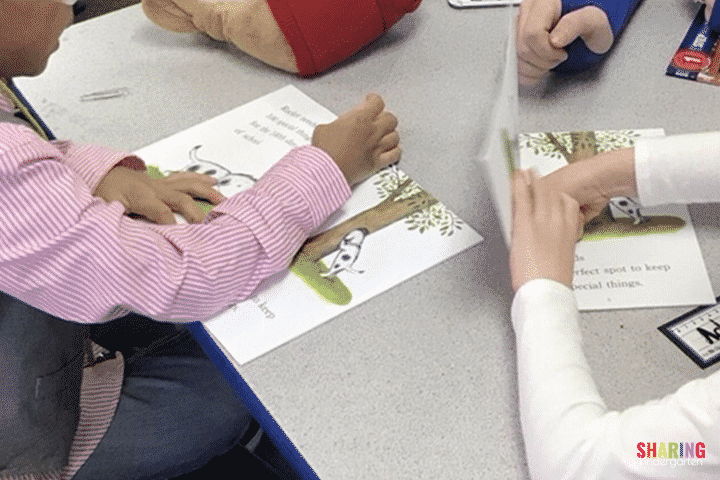 For differentiation, you could also have a student flip their mat to receive less support. 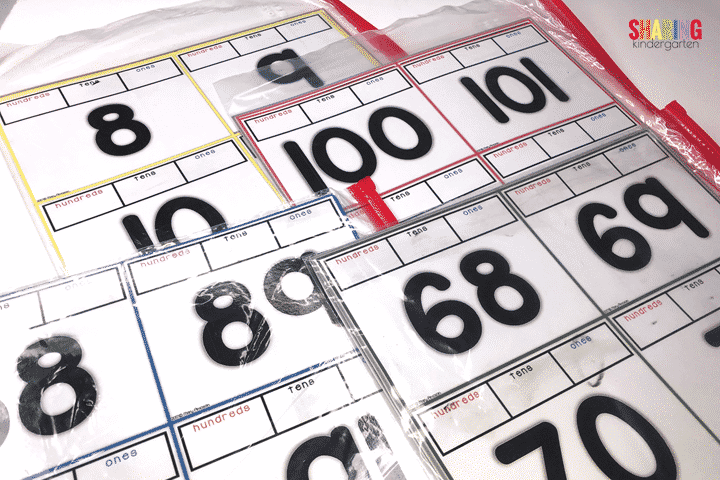 Here is a picture of our number puzzles in action. 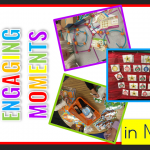 This is a classic activity that teachers have been using forever! The truth is… it is just more fun to count to 100 with colorful rounds of paint! 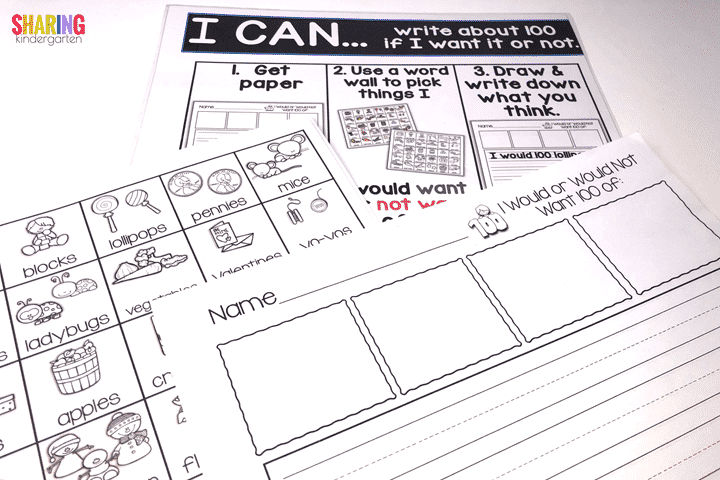 We added an I can statement and differentiated versions for even the youngest learners can use with ease. We tried this last year with the bottom mat. We notices some students were getting frustrated with themselves while painting. It wasn’t because they couldn’t count to 100… it was just that everyone else around them was also counting to 100 and it was throwing off their own counting! This year, we opted to use the top version and we had very happy painters who were less stress and more obsessed. 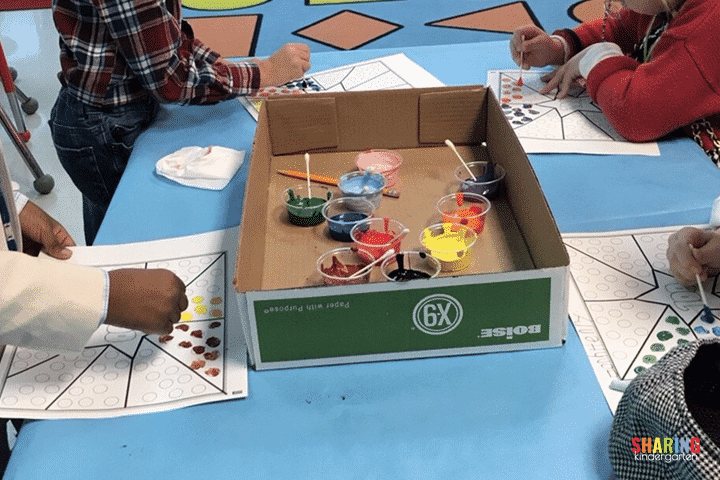 Here is the set up we used for this painting activity. We covered the table with paper and kept all the small paint containers in a lid box. 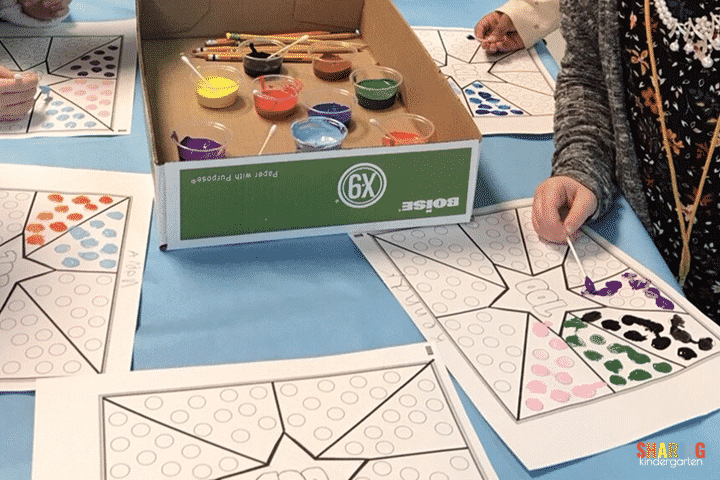 Add ONE qtip per color… and you have a fun painting station. I have to tell the truth… I have never been a big fan of the writing prompts that center around 100 years old or spending $100. Instead, I wanted to get my students thinking about the AMOUNT in a new way. Therefore, I created this writing prompt and word wall options that center around what someone WOULD want 100 of and what someone WOULD NOT want 100 of. I mean, who would want 100 mice! That couldn’t be a good thing. But 100 pennies… that could be awesome. I was curious how my little learners would take this writing prompt, after all they are the real critics! Here is an example of what one of my learners came up with! 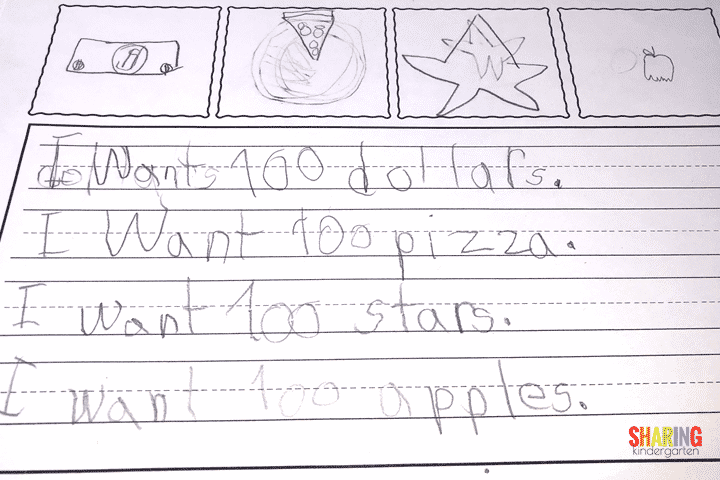 I think this student focused on the things that he would want 100 of and I know he did an amazing job! 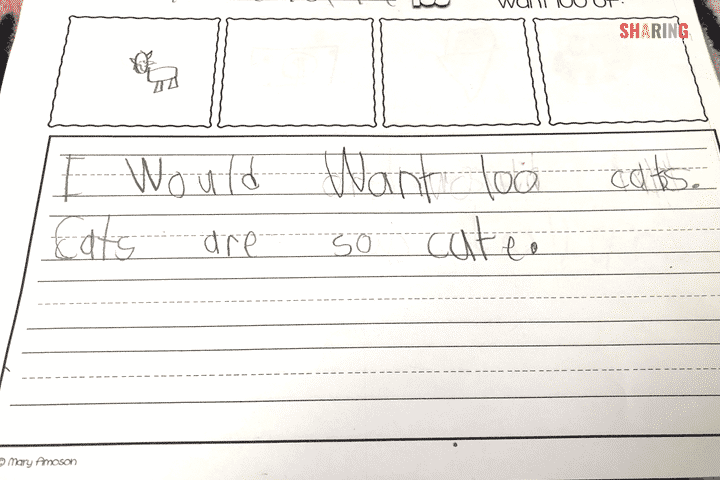 Apparently cats were also a huge hit this year. Did I mention cats were coveted? Here are my little writers in action. Don’t you love seeing finger spacing in action! 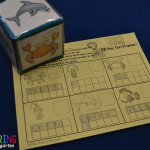 Another one of our learning activities today was focusing on skip counting by 5s and 10s. 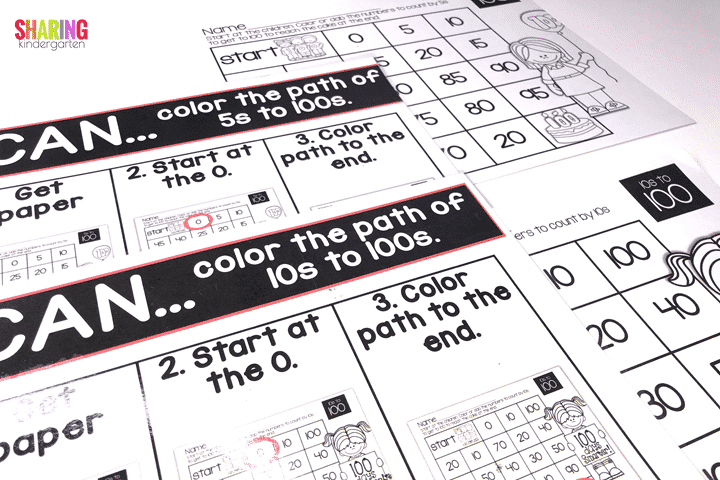 Students took these printables and colored their path while they skip counted their way to 100. 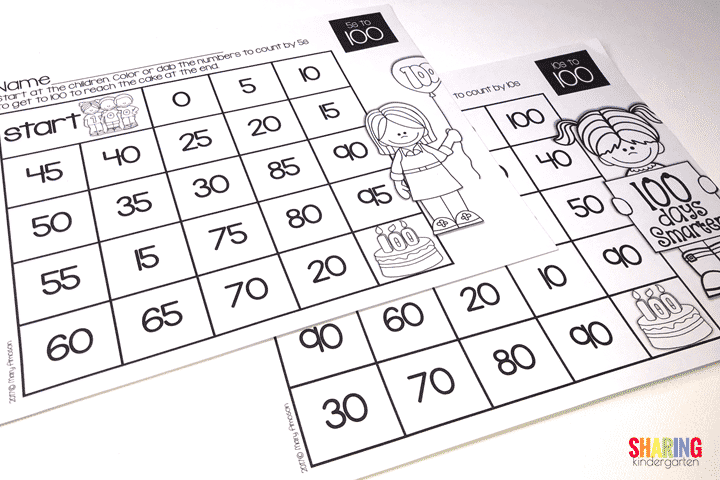 Since one of our Kindergarten standards includes counting to 100 by 10s, what a great way to add standard based fun. The count by 5s is a skill I teach, although it isn’t required. Going a little above with number sense never hurts. This was the set up for this table of activities as well. 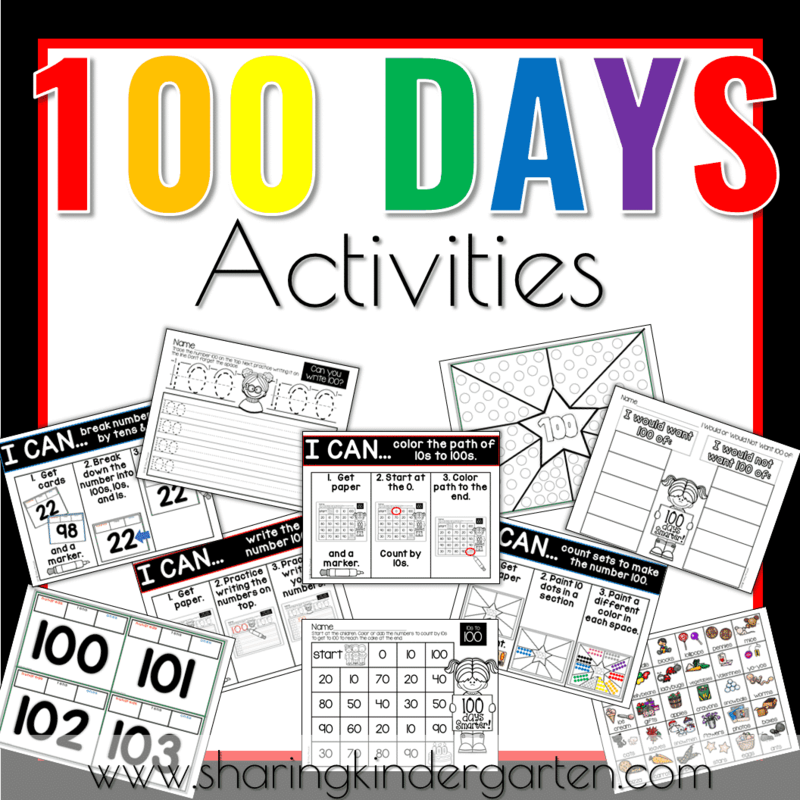 You can grab many of these 100th day of school activities HERE. 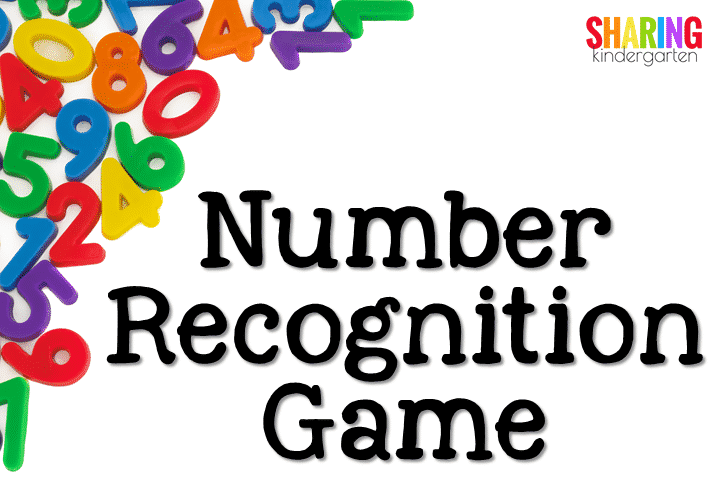 If you are looking for some fun Number 100 games to play after the 100th day, you will love these! Click here for these games.